Last week I had the opportunity to speak at first annual 90 by 30 conference. 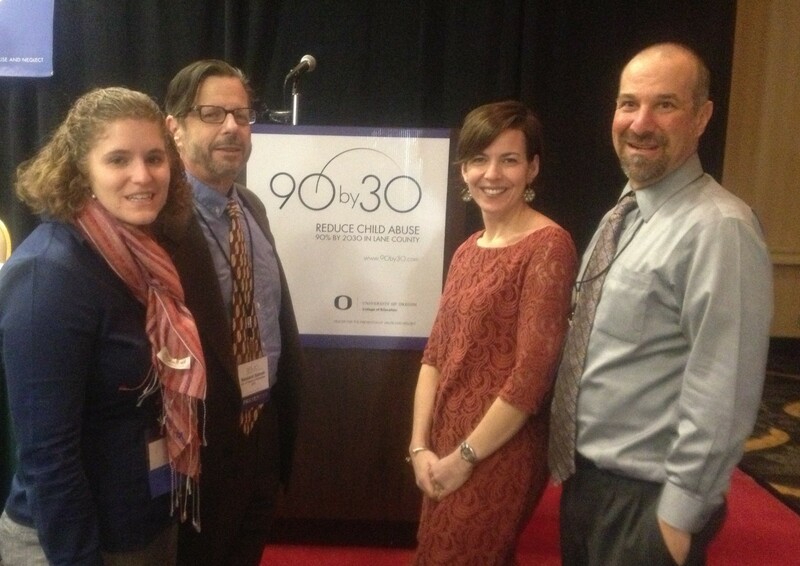 I love the vision of the mission of 90 by 30: to reduce child abuse in 90% by 2030 in Lane County, Oregon. This concrete and ambitious goal will require this community to be fully engaged in a community-wide effort. My presentation focused on importance of changing norms to prevent violence and abuse. First I recognized the overlap between different forms of violence, such as sexual violence and child abuse, before I recommended that transformation take place not be providing information only, but by changing how we frame abuse and promoting the norms we want to see. I discussed many great reports such as Prevention Institute’s Transforming Communities to Prevent Child Sexual Abuse and Exploitation: A Primary Prevention Approach, Frameworks Institute work with Prevent Child Abuse America and Berkeley Media Studies Group‘s analysis of media coverage of child sexual abuse. I reviewed the exciting new work by the Wisconsin Children’s Trust Fund on changing norms to prevent child abuse. To transform our communities, we need to build a movement for change. I ended my presentation describing what we need for a movement: leadership, vision and hope. It was great to see the beginning of this movement in Lane County. I am have the strength of a movement to end sexual violence and domestic violence over the last 40 years. Other plenary speakers included Howard Spivak, Director, Division of Violence Prevention at the Centers for Disease Control and Prevention who described the new Essentials for Childhood report, Jennifer Sayre of Green Dot, Etcetera describing the value of a bystander approach and Lara Bruce of Butler Institute for Families speaking about community-based approach of Communities Now. Click here to see the handouts from this presentation.